Lot 1 in the Eurogenes Online Embryo Sale is a really exciting one. 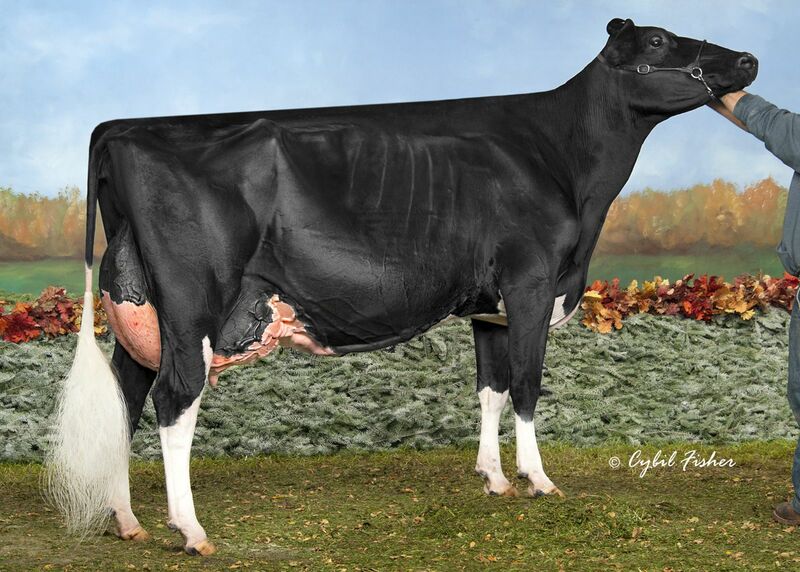 Three FEMALE Doorman embryos from Porpo Goldwyn Barby EX-94-USA, a show winning Goldwyn daughter with already a long victory list: Reserve Senior Champion All-Michigan Holstein Show 2014, Junior Show Senior & Grand Champion @ Mideast Spring National Holstein Show 2014, Res. Senior Champion Mideast Spring Holstein Show 2015 & more! 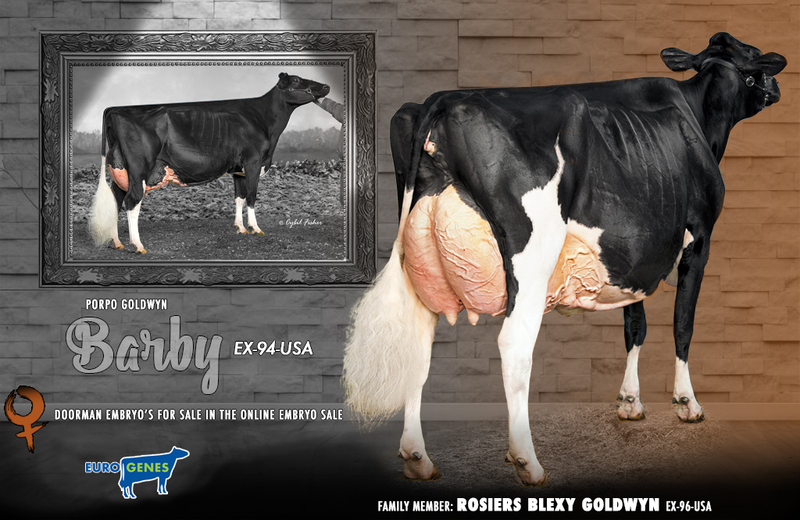 She goes back on Rosiers Barka Triumphant EX-90-CAN *2 to Rosiers Bernet Persistent EX-CAN 4E 12*, the same family as the SUPREME Champion World Dairy Expo 2017: Rosiers Blexy Goldwyn EX-96-USA. Take your chance and assure yourself now with these special embryos.